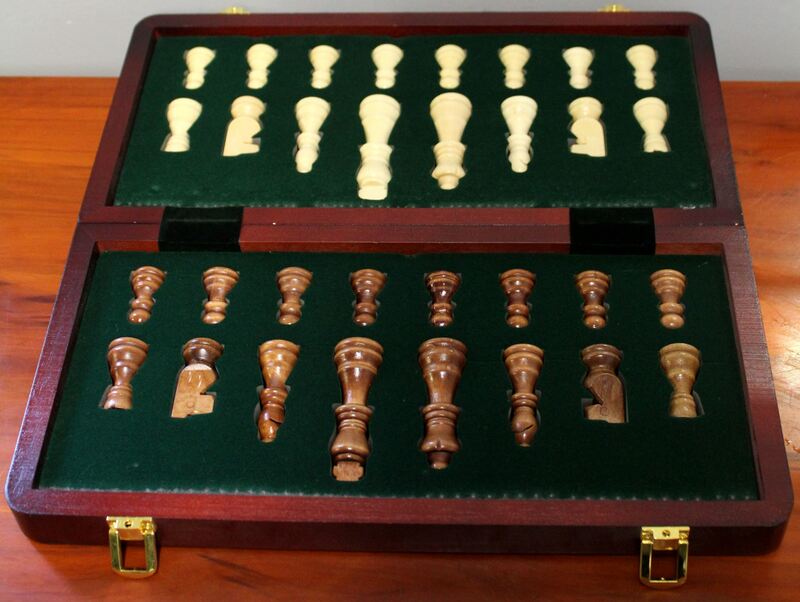 Very elegant chess set. 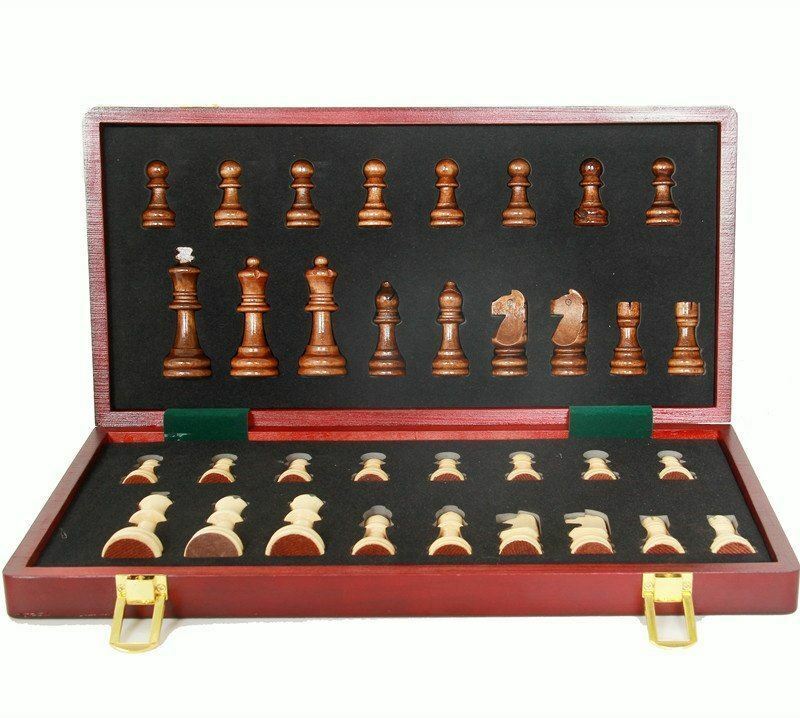 Wooden pieces and a wooden box. Box folds so pieces can be kept inside. The pieces sit in cutouts inside, so they don't all rattle around. Board measures 35cm square and 2.9cm deep. When folded it measures 35cm x 18cm x 5.6cm. 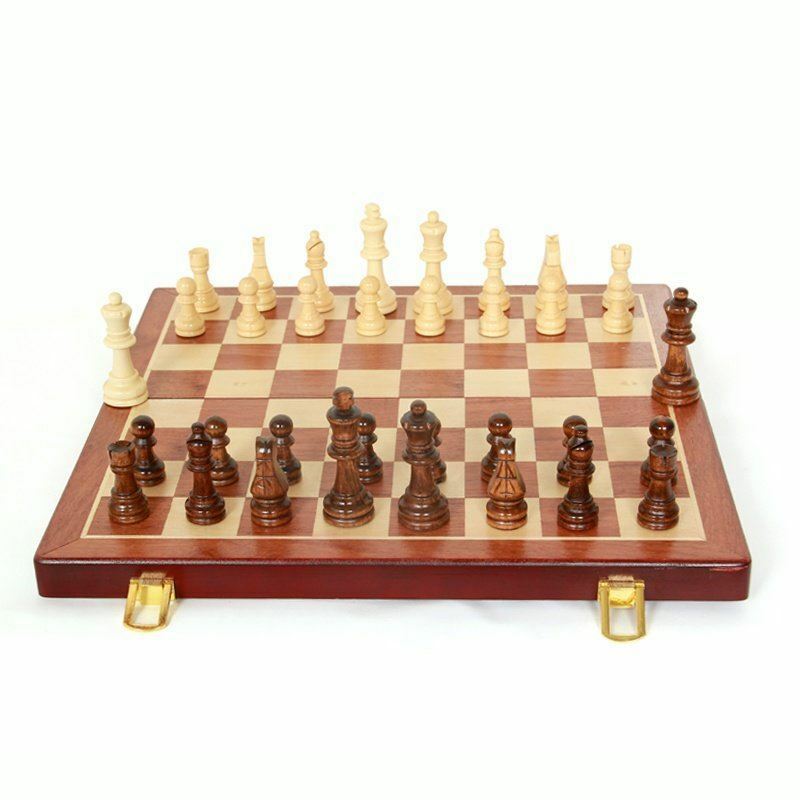 The king in this set is 7.9cm tall - a lovely grand piece! 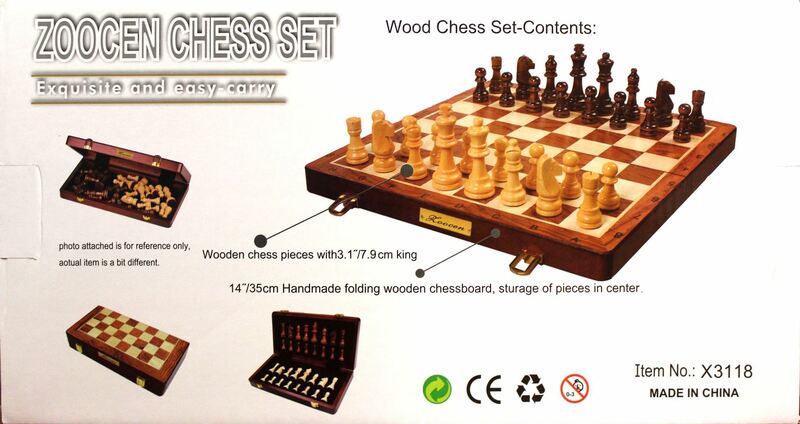 The fine and professional Chess Set. High quality wooden plate on the board. 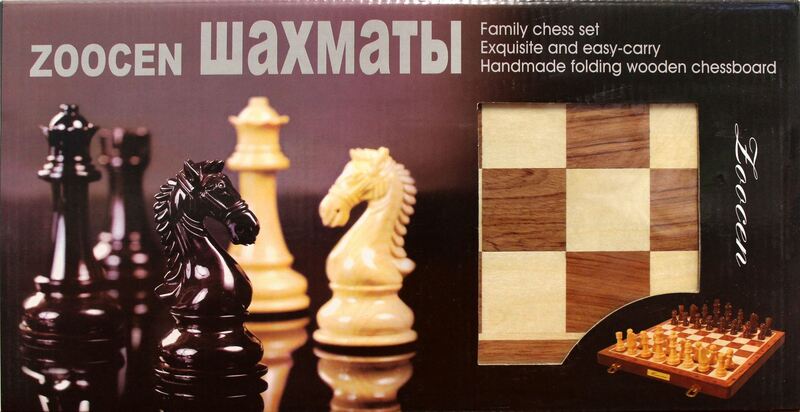 Serious and fine high grade wooden made characters. Perfectly for professional tournament and also great traveling. 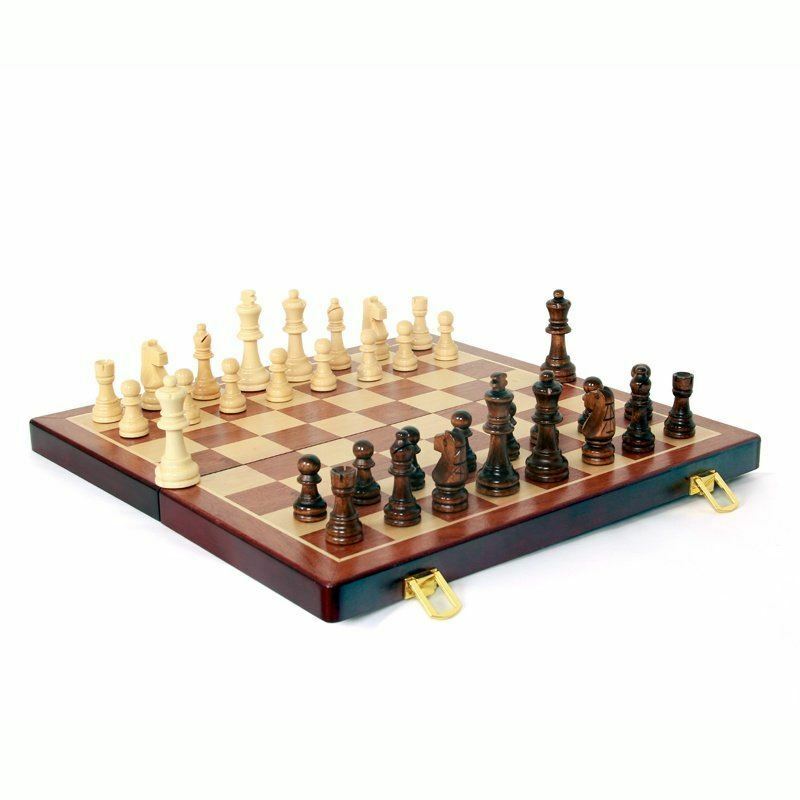 The board also can be used as storage. 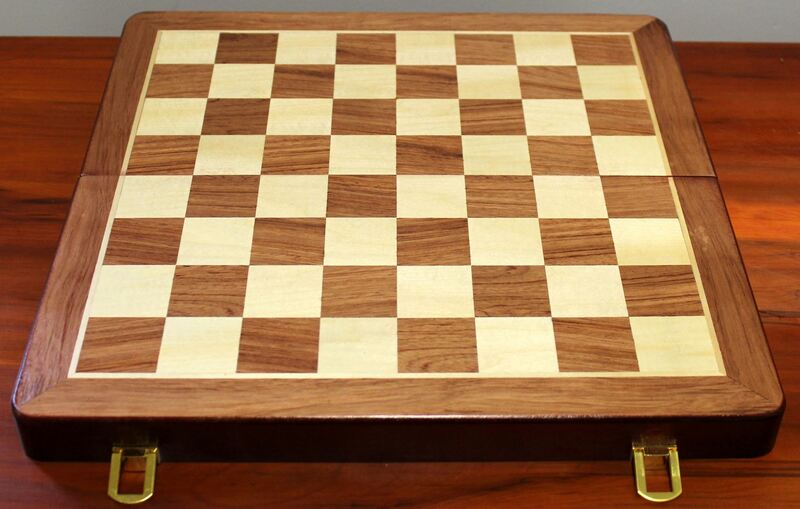 Approx the chess board size : Length : 35cm, Width:35cm and Height:2.6c.